Perhaps you’re wondering why a sequel article on terror and terrorism is being posted instead of a more seasonal theme about Christmas. Or even why the first article (Part I published last week) couldn’t wait until this wonderful time of the year had run its cheerful course … what with the lovely lights, delightful decorations, marvelous meals, and gracious gifts given and received. Why dwell on such a seriously somber subject at such a festive time in the lives of billions the world over? Well, for the record, there was a timely Eye of Prophecy article posted last Holiday season entitled Merry Christmas, What’s It All About? Published 12-20-14. And the year before that, The Wonder of It All, posted 12-21-13. If you’d rather read those articles, then by all means do so. I think both are quite good, but then I’m a little bit partial! So, why focus on the repulsive reality of today’s terror-filled world anytime, let alone this joyous time of year when we celebrate the birth of the Christ-child? Isn’t there enough media bombardment of gloom and doom before and after Christmas? TRUTH! (Including the truth about the terror experienced just before and during the Great Tribulation). “…Actually I was born and came into the world to testify to the truth. All who love the truth recognize that what I say is true” (John 18:37). Angels announced this magnificent birth: “The Savior—yes, the Messiah, the Lord—has been born today in Bethlehem, the city of David!” (Luke 2:11). Jesus not only proclaimed truth, he claimed that he is Truth (John 14:6). That he is the only way to God, the only means of redemption and deliverance from the coming judgment of God on a wicked world. That this salvation would bring life … everlasting life with God in heaven. Repeatedly during his ministry on this earth, Jesus said that he spoke the words of truth given to him by his Father, the true and living God. And that his miracles confirmed that he was not only the Son of God, but God the Son. Of himself, Jesus used the awesome, holy name of God … I AM (Yahweh). 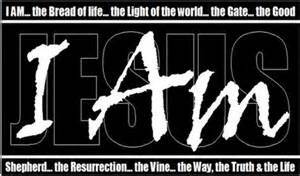 With the greatest miracle of all: His resurrection from the dead! Said Jesus to the Jewish Pharisees: “I tell you the truth, before Abraham was even born, I Am!” (John 8:58). To those who believed in him, Jesus said, “And you will know the truth, and the truth will set you free” (John 8:32). Free from what? Scripture is abundantly clear in many passages: The truth of redemption purchased by the atoning sacrifice of Jesus’s death on the cross will set us free from the penalty of our sins, which is eternal separation from God in hell. It will protect us from believing and following the lies of Satan and those who embrace those lies, including many religions and religious leaders. And in these last days, our redemptive position in Christ will spare us from the soon to come apocalyptic terror of man-made carnage and of God’s wrath on the earth. “For God chose to save us through our Lord Jesus Christ, not to pour out his anger on us. Christ died for us so that, whether we are dead or alive when he returns, we can live with him forever” (I Thessalonians 5:9-10). Yet, this assurance is only for believers in Messiah Jesus. Of the Jewish religious leaders, Jesus said: “…for if you were really the children of Abraham, you would follow his example. Instead, you are trying to kill me because I told you the truth, which I heard from God. Abraham never did such a thing. No, you are imitating your real father … If God were your Father, you would love me, because I have come to you from God … For you are the children of your father the devil, and you love to do the evil things he does. He was a murderer from the beginning. He has always hated the truth, because there is no truth in him … for he is a liar and the father of lies. So when I tell the truth, you just naturally don’t believe me! Which of you can truthfully accuse me of sin? And since I am telling you the truth, why don’t you believe me? Anyone who belongs to God listens gladly to the words of God. But you don’t listen because you don’t belong to God” (John 8:39-47). If these words from Messiah are applicable even to religious leaders, they certainly are true for all peoples. Later the Apostle John gives us a companion reason why Jesus came into this world. By declaring the truth of Biblical salvation which is only available in and through Christ Jesus, and with Jesus being the very essence of that truth, John states: “But when people keep on sinning, it shows that they belong to the devil, who has been sinning since the beginning. But the Son of God came to destroy the works of the devil” (I John 3:8, italics for emphasis). “God saved you by his grace when you believed. And you can’t take credit for this; it is a gift from God. Salvation is not a reward for the good things we have done, so none of us can boast about it” (Ephesians 2:8-9). Ironically, the greatest deception is through religion, i.e. man-made religions like Islam that erroneously teach good works as a means of pleasing God or somehow earning their way to heaven. Which in reality and practice entails all religions and cults (including Roman Catholicism), except Christianity which is not a religion. Not a religion because the truth of the Good News tells us that God, through Christ, did for us what we could not do for ourselves … redemption and forgiveness of sins. No one has done enough or can do enough to merit a divine pardon for any and all transgressions against God. Moreover, we sin because we’re born with a sin nature … a built in propensity to do what is wrong, inherited from our original ancestors, Adam and Eve. Think of GEICO. They sell insurance and make commercials. That’s what they do! Now think of the Energizer Bunny. Until we are changed by the spiritual rebirth in Christ, we keep on sinning and sinning and… That’s what we do. As believers who have been redeemed by the atoning sacrifice of Jesus Christ: “This means that anyone who belongs to Christ has become a new person. The old life is gone, a new life has begun!” (II Corinthians 5:17). 2. Overtly, through violence (the ultimate of which is murder) to eliminate some; and to suppress, oppress, and terrorize others into complete submission to whatever or whoever is terrorizing them. Hence, the anti-Semitic subjugation of and genocidal attacks against Jews from the birth of the Jewish people to this very day; and the equally diabolical persecution and killings of reborn (spiritually) Christians from all nations, including Israel, since the death, burial, resurrection, and ascension of our Lord Jesus Christ. Satan—and the tyrants, religions, nations, and ethnic groups of people who deliberately or unwittingly align themselves with Satan’s agenda—employs terrorism to forcefully coerce submission and loyalty. Thus, the terror of terrorism has a purpose. It’s clearly evident that today’s terrorists are systematically dispensing fear and horror through brutal persecution and ruthless killing of innocent people. This terror is utilized for, “a cause.” It is to establish a Muslim kingdom over the entire earth. Or with non-religious governments, such as Nazi Germany or Communist Russia, to deify the State as supreme over the lives of its people. But it’s also terror for the sake of terror … an end unto itself. Because, if their gruesome goals are achieved, they will continue terrorizing people to solidify submission and to discourage dissent. The characteristics and attributes of God as conveyed in the Bible are extraordinary and explicit. Such as: Omnipotent, Omniscient, Omnipresent, Immutable, Perfect, Alpha, Omega, Life, Light, Truth, Holy, Righteous, Patient, Just, Fair, Faithful, Merciful, and Savior. Because of who he is, the Lord freely offers: Grace, Forgiveness, Redemption, and Everlasting Life. Man was created in his image. In that regard, God displays the same emotions as we do. But his character and emotions are pure; flawlessly expressed and perfectly relevant to every situation in which he proactively or reactively responds to people and events. Feelings such as: love, hate, compassion, and anger. “Then the Lord came down in a cloud and stood there with him; and he called out his own name, Yahweh. The Lord passed in front of Moses, calling out, ‘Yahweh! The Lord! The God of compassion and mercy! I am slow to anger and filled with unfailing love and faithfulness. I lavish unfailing love to a thousand generations. I forgive iniquity, rebellion, and sin. But I do not excuse the guilty…’” (Exodus 34:5-7, italics for emphasis). Well over a thousand years later, the Jewish Apostle John wrote about the incomparable love of the God of Abraham, Isaac, and Jacob; who was also the God of Moses, King David, the prophets, and subsequently of all those who believed and received the Son of God (Messiah Jesus) as their personal Savior and Lord. “God showed how much he loved us by sending his one and only Son into the world so that we might have eternal life through him. This is real love—not that we loved God, but that he loved us and sent his Son as a sacrifice to take away our sins” (I John 4:9-10). Moreover, the Son of God, Messiah Jesus, is the picture-perfect, “visible image of the invisible God” (Colossians 1:15). “For God in all his fullness (attributes, essence) was pleased to live in Christ, and through him God reconciled everything to himself” (Colossians 1:19-20). John goes on to say in his epistle: “And God has given us his Spirit as proof that we live in him and he in us. Furthermore, we have seen with our own eyes and now testify that the Father sent his Son to be the Savior of the world. All who confess that Jesus is the Son of God have God living in them, and they live in God. We know how much God loves us, and we have put our trust in his love” (I John 4:13-16). 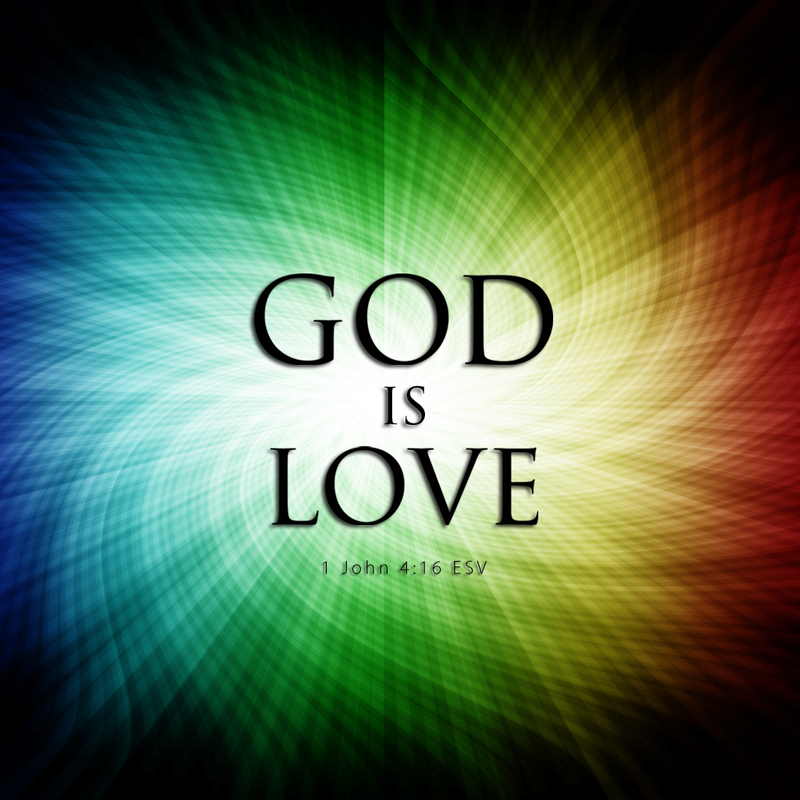 Then the Apostle John simply but profoundly states: “…God is love…” (Verse 16). Those (believers) who have placed their trust in God’s gracious provision for redemption and forgiveness of sin through God’s Son, Jesus Christ, will have everlasting life. Furthermore, they need not fear the, “great and terrible day of the Lord” (Joel 2:31). “And as we live in God, our love grows more perfect. So we will not be afraid on the Day of Judgment, but we can face him with confidence….” (I John 4:17). Said God through his prophet to Israel and about the Gentile nations: “Yes, says the Lord, I will do mighty miracles for you, like those I did when I rescued you from slavery in Egypt. All the nations of the world will stand amazed at what the Lord will do for you. They will be embarrassed at their feeble power. They will cover their mouths in silent awe, deaf to everything around them. Like snakes crawling from their holes, they will come out to meet the Lord our God. They will fear him greatly, trembling in terror at his presence” (Micah 7:15-17). “Then everyone—the kings of the earth, the rulers, the generals, the wealthy, the powerful, and every slave and free person—all hid themselves in the caves and among the rocks of the mountains. And they cried to the mountains and the rocks, ‘Fall on us and hide us from the face of the one who sits on the throne and from the wrath of the Lamb (Messiah Jesus). For the great day of their wrath has come, and who is able to survive?” (Revelation 6:15-17). The terror that comes from God is truly a Holy Terror. Although God’s judgment is meant to destroy all that is wicked and perverse, the actual terror is intended by God to demonstrate that he is the Sovereign God. This terror (fear and awe) comes from the very presence of God, from the very thought of God’s holiness and righteousness. From the very idea that he is true and just and fair in all that he is and does. Most of all that God’s salvation is available to all who willingly believe and receive Christ as Savior and Lord. But for those who reject so great a salvation, only judgment remains. Thus, God’s Wrath serves a dual purpose: to judge evil, but also to traumatically and dramatically get the attention of many. For those left behind after the Rapture, that is (unfortunately) what it will take. Even Moses experienced this terror. 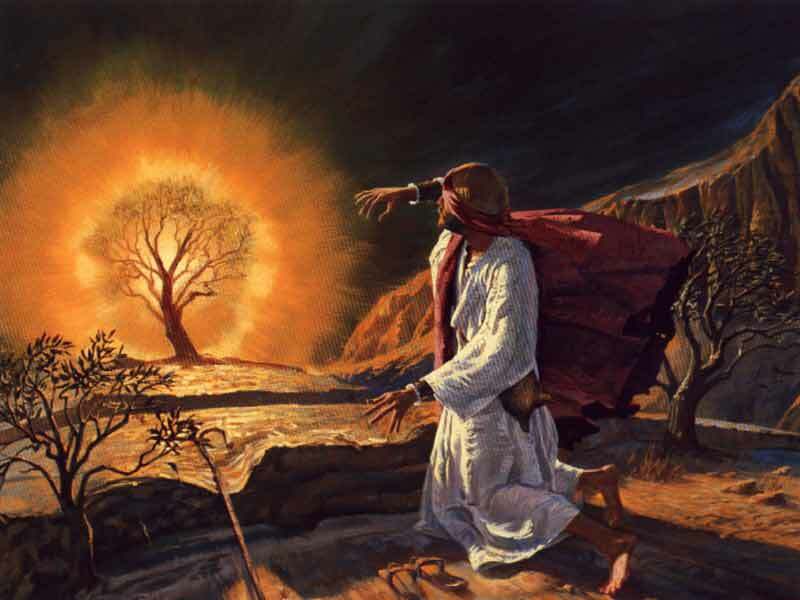 Once again, referring to Moses encounter with the Most High God at the burning bush: “When Moses saw it he was amazed at the sight. As he went take a closer look, the voice of the Lord called out to him, ‘I am the God of your ancestors—the God of Abraham, Isaac, and Jacob.’ Moses shook with terror and did not dare to look” (Acts 7:31-32). Yet this was not the terror of impending judgment, rather of obvious respect for and awe of God’s holiness. The result of such an awesome encounter with God was that Moses would devote the rest of his life to serving a holy, but loving and merciful God. “Will those who do evil never learn? They eat up my people like bread and wouldn’t think of praying to God. Terror will grip them, terror like they have never known before. God will scatter the bones of your enemies. You will put them to shame, for God has rejected them. Who will come from Mount Zion to rescue Israel? When God restores his people, Jacob will shout with joy, and Israel will rejoice” (Psalm 53:4-6). God is Love, but he is also Just … Justice. Both of these attributes exist equally in and with God the Father, Son, and Holy Spirit. Many people emphasize one of these attributes above the other, but they must be kept in balance. However, most people prefer not to talk or even think about God’s (perfect) justice, which by very definition and expression must include judgment and retribution. On this earth, we expect and endorse justice for those among us who refuse to abide by the law of the land. To overlook or capriciously excuse those who rob, defraud, falsely testify, assault, persecute, and murder is to create anarchy and injustice—the likes of which would cause society and government to collapse. No less and even more so with the Lord. “…Should not the Judge of all the earth do what is right” (Genesis 18:25). “…For the Lord is coming to judge the earth. He will judge the world with justice, and the nations with fairness” (Psalm 98:9). God is perfectly loving, but he also is perfectly just. “For I, the Lord, love justice…” (Isaiah 61:8). And, “The Sovereign Lord will show his justice to the nations of the world. Everyone will praise him! His righteousness will be like a garden in early spring with plants springing up everywhere” (Verse 11). One more: “The Lord is king! Let the nations tremble!” (Psalm 99:1). Then, “Mighty King, lover of justice, you have established fairness. You have acted with justice and righteousness throughout Israel” (Verse 4). And, by obvious implication … the whole world. Furthermore, God’s justice administered through judgment is perfectly pure and profoundly proportionate. It’s from the Law of Moses that Roman law and now Western law derives the standard that: Punishment must fit the crime. During the last days (the Great Tribulation soon to come), we read many times of the righteousness, holiness, truth, and justice exemplified through the judgments administered by God and by Messiah on an unrighteous, unholy, lying, and unjust world. “…You are just, O Holy One, who is and who always was, because you have sent these judgments. Since they shed the blood of your holy people and your prophets, you have given them blood to drink. It is their just reward … “Yes, O Lord God, the Almighty, your judgments are true and just” (Revelation 16:5-7). And, “…Great and marvelous are your works, O Lord God, the Almighty. Just and true are your ways O King of the nations. Who will not fear you, Lord, and glorify your name? For you alone are holy. All nations will come and worship before you, for your righteous deeds have been revealed” (Revelation 15:3-4). “Why are the nations so angry? Why do they waste their time with futile plans? The kings of the earth prepare for battle; the rulers plot together against the Lord and against his anointed one. ‘Let us break their chains,’ they cry, ‘and free ourselves from slavery to God.’ But the one who rules in heaven laughs. The Lord scoffs at them. Then in anger he rebukes them, terrifying them with his fierce fury” (Psalm 2:1-5). Later, King David warns: “Now then, you kings, act wisely! Be warned, you rulers of the earth! Serve the Lord with reverent fear, and rejoice with trembling. Submit to God’s royal son, or he will become angry, and you will be destroyed in the midst of all your activities—for his anger flares up in an instant. But what joy for all who take refuge in him!” (Psalm 2:10-12). According to Scripture, God’s judgment is exceptionally harsh against those in illegitimate or legitimate authority—rulers, leaders, judges, religious factions (like ISIS) who mislead, suppress, oppress, and otherwise terrorize others into submission. Those who are perniciously proud of their wickedness and audaciously arrogant toward God and others. “Justice—do you rulers know the meaning of the word? Do you judge the people fairly? No! You plot injustice in your hearts. You spread violence throughout the land” (Psalm 58:1-2). King David continues in this passage: “Break off their fangs, O God! Smash the jaws of these lions, O Lord! May they disappear like water into thirsty ground. Make their weapons useless in their hands” (Verses 6-7). David concludes with: “Then at last everyone will say, ‘There truly is a reward for those who live for God; surely there is a God who judges justly here on earth’” (Verse 11). “Think again you fools! When will you finally catch on? Is he deaf—the one who made your ears? Is he blind—the one who formed your eyes? He punishes the nations—won’t he also punish you? He knows everything—doesn’t he also know what you are doing?” (Psalm 94:1-10). 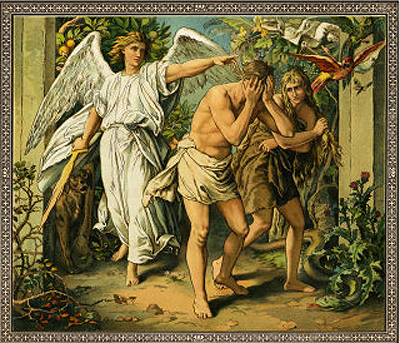 In the context of God restoring and protecting Israel in the last days by means of divine judgment (including the justified terror that it brings) on those who seek to destroy God’s people, both Jew and Gentile, contrasted to the terrorism dispensed by wicked people, Scripture states: “The Lord will not reject his people; he will not abandon his special possession. Judgment will again be founded on justice, and those with virtuous hearts will pursue it” (Psalm 94:14-15, italics for emphasis). Then, a rhetorical question: “Can unjust leaders claim that God is on their side—leaders whose decrees permit injustice?” (Verse 20). It is a foregone conclusion, a certainty that God will judge evil and wickedness, most assuredly those who terrorize and murder innocent men, woman, and children. His anger will be most intense against those who seek to destroy Israel and the Jews. But also those who persecute and kill believers in God’s Anointed One, Messiah Jesus. Returning to our question: Who then are the guilty? Whose guilt will not be excused by God? Who are they that will suffer the wrath of God poured out on the earth as foretold by the prophets and as depicted graphically in the book of Revelation? Who are those among the masses of people already passed from this earth who will rise to perpetual separation from God in the Lake of Fire, instead of everlasting life in heaven? Is it only the brutal sadistic terrorists or every-day murderers … the most wicked among us? Is it only evil tyrants like Adolph Hitler and Osama bin Laden, and their deplorable culprits in crime? Does anyone on earth have the right to determine who is guilty of breaking God’s laws and falling short of his standards? Or judging whose sins are greater, or who should deserve more punishment, or no punishment at all? Will anyone be able to stand before God and declare they are innocent because of all the good things they’ve done. Or demand (or even request) leniency because the wrong things they’ve done aren’t nearly as bad as other people’s transgressions? Or plead ignorance because they didn’t fully realize the gravity of and consequences for their actions? Or argue that they shouldn’t be so severely penalized just because they didn’t make a decision to accept God’s gracious offer of pardon through what his Son did for them? The true and living God says, no. Scripture says: “But now God has shown us a way to be made right with him without keeping the requirements of the law, as was promised in the writings of Moses and the prophets long ago. We are made right with God by placing our faith in Jesus Christ. And this is true for everyone who believes, no matter who we are. For everyone has sinned; we all fall short of God’s glorious standard. Yet God, with underserved kindness, declares that we are righteous. 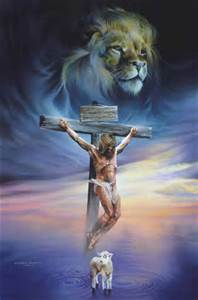 He did this through Christ Jesus when he freed us from the penalty for our sins. For God presented Jesus as the sacrifice for sin. People are made right with God when they believe that Jesus sacrificed his life, shedding his blood…” (Romans 3:21-25, italics for emphasis). For you see, we are all guilty. We are all born into sin, and the wages of that sin is death (Romans 6:23). That’s right … we actually earn death. That’s one wage that we all wish we weren’t paid. But we earned it, we deserve it. Scripture also tells us there are two deaths; one that we can’t escape (physical), but one that we can be rescued from … spiritual death or eternal separation from God. In the Bible, death does not mean annihilation; rather, it means separation. That’s what happens when we die, the spirit is separated from the body. The spirit of every person ever birthed, is born dead … unable to fellowship, love, serve, understand, or even communicate with God. Furthermore, the moment we commit our first sin, we are subject to God’s justice and judgment. Essentially then, we are born under judgment. Most people don’t think that way or grasp its significance, because we contemplate in terms of innocent (even if we’re not) until judged guilty. But because God needs no court or jury or judge (he is all of those), and because he is timeless, he has already passed judgment on all human beings. Thus, we are all guilty from the very beginning of our lives. How do we know that to be true? “And anyone who believes in God’s Son has eternal life. Anyone who doesn’t obey the Son will never experience eternal life but remains under God’s angry judgment.” (John 3:36, italics for emphasis). Obedience in this passage refers to believing in/on the Son of God and his sacrificial death on the cross. Previously, the Apostle John records that Jesus had said that the (only) ultimate thing God really requires of anyone is that they believe and receive his Son. Did you catch the italicized words? The only way to remain in or under anything (in this case God’s judgment) is to already be in that condition in the first place. The moment we accept Christ as our personal Savior, God declares us not guilty. The charges are dropped. The sentence is commuted. The prison doors are flung open and we can run out, then keep on running right to the gates of heaven, where we will spend a glorious eternity! “Then I looked, and I heard a single eagle crying loudly as it flew through the air, ‘Terror, terror, terror to all who belong to this world because of what will happen when the last three angels blow their trumpets’” (Revelation 8:13). “You are from below; I am from above. You belong to this world; I do not. That is why I said that you will die in your sins; for unless you believe that I AM who I claim to be, you will die in your sins” (John 8:23-24). There is nothing as tragic as dying without acknowledging and accepting Jesus Christ as Savior and Lord. That is what Christ meant by “dying in your sins.” That is the terrifying fate of the extraordinarily wicked on this earth; but also for those who prefer to do it their way. Those who insist on clinging to self-righteousness, to self-merit, to working their way to heaven; to being their own judge of how good they are, especially by comparison to others. Scripture tells us often that God’s justice is absolutely true and unequivocally equitable. There’s no doubt that there will be different levels of punishment throughout eternity, for those who have rejected Jesus Christ. Confirmation of this came from Jesus, himself, when he (again) chastised the Jewish religious leaders: “Yet they shamelessly cheat widows out of their property and then pretend to be pious by making long prayers in public. Because of this, they will be more severely punished” (Mark 12:40). And that was one of the less serious things Jesus said about the Pharisees. But that’s little consolation when the fact also remains: All who have not made a decision for Jesus Christ will end up in the same God-forsaken (literally) place … the Lake of Fire (Revelation 20:13-15). You don’t want to go there!